The illustrious Mehboob Studio in Bombay is the venue for the Live from the Console series of performances. 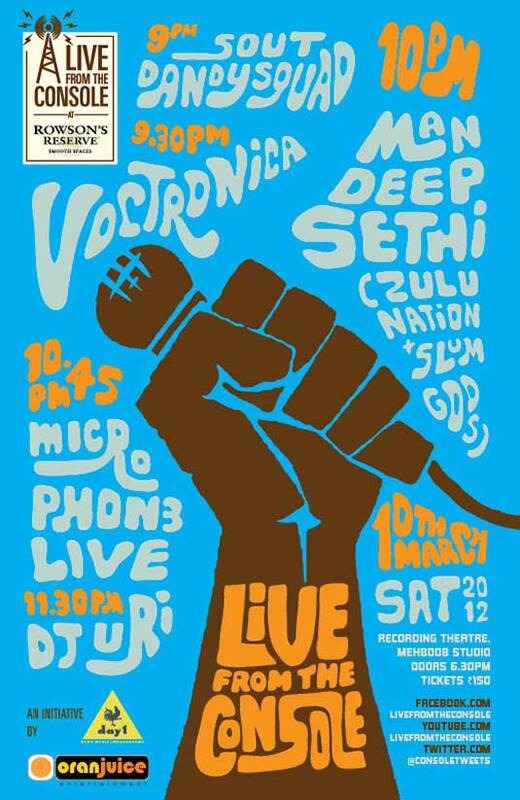 The lineup for March 10 includes Voctronica, India’s first all vocal-ensemble set up by renowned beatboxer Shlomo and MC Testament. Following them will be DJ Mandeep Sethi, Microphon3 (with Johnny B and ex-P.D.V./Scribe drummer Niraj Trivedi), and DJ Uri. Date and time: March 10, 2012; gates open at 6 p.m.